The therapy trains the immune system to attack tumors. A small pilot study raises hopes that personalized cancer vaccines might prove safer and more effective than immune-based therapies already in use or further along in development. In a paper published online in Nature on Wednesday, scientists reported that all six melanoma patients who received an experimental, custom-made vaccine seemed to benefit: their tumors did not return after treatment. Malignant or benign? : An image of a skin lesion is processed by a new technology to extract quantitative data, such as irregularities in the shape of pigmented skin, which could help doctors determine if the growth is cancerous. Even experts can be fooled by melanoma. 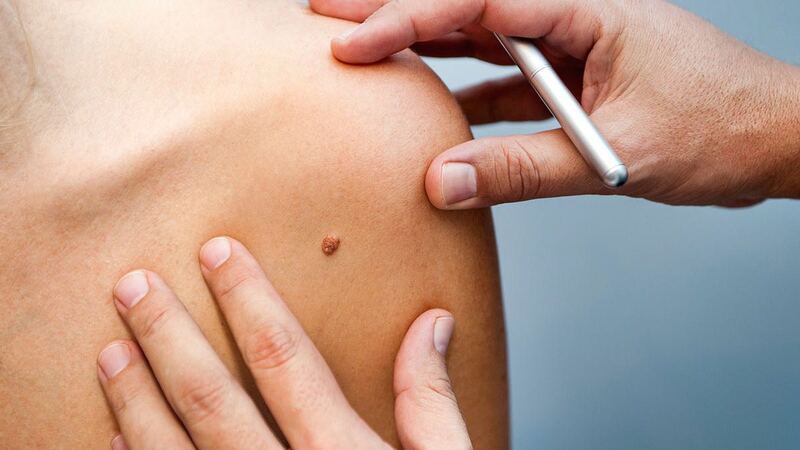 People with this type of skin cancer often have mole-looking growths on their skin that tend to be irregular in shape and color, and can be hard to tell apart from benign ones, making the disease difficult to diagnose. 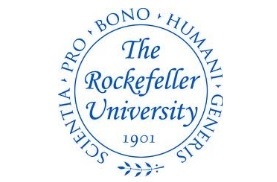 Now, researchers at The Rockefeller University have developed an automated technology that combines imaging with digital analysis and machine learning to help physicians detect melanoma at its early stages. The researchers developed this tool by feeding 60 photos of cancerous melanomas and an equivalent batch of pictures of benign growths into image processing programs. They developed imaging biomarkers to precisely quantify visual features of the growths. Using computational methods, they generated a set of quantitative metrics that differed between the two groups of images—essentially identifying what visual aspects of the lesion mattered most in terms of malignancy—and gave each biomarker a malignancy rating. This work was supported in part by the National Institutes of Health and in part by the Paul and Irma Milstein Family Foundation and the American Skin Association. Congratulations! You have been nominated for the Versatile Blogger Award by Coffee & Quasars because they thought your blog was awesome. Thanks so much for the nomination. I love doing this work. A doctor examines a mole on a patient’s back. For over 30 years, cancer researchers have argued about moles. Specifically, they’ve debated at what point a skin lesion becomes a melanoma, more commonly known as skin cancer. Some claimed that lesions which looked halfway between a benign mole and a melanoma make up a class of their own, while others held that lesions can only be either harmless or cancerous, with no in-between. Over 70,000 new melanomas will be diagnosed in the United States in 2015, according to the American Cancer Society. Recently, a team of researchers led by Hunter Shain of the University of California-San Francisco announced at the Society for Melanoma Research convention that they have new data that settles the debate—a better way of telling whether a lesion is on track for becoming melanoma. Intermediate lesions, Shain said, “are very difficult to study simply because they are difficult to identify,” Shain said. Their appearance lies in a gray zone between obviously benign and obviously malignant. When Shain and the team had eight expert dermatologists try to classify them, there was little agreement. To get around this problem, the team devised a clever solution, using a characteristic of skin cancer to their advantage. Mature melanomas often lie next to skin tissue that represents earlier stages of the lesion. Taking 37 samples of melanomas from patients, the scientists micro-dissected them into their component sections—healthy skin, precursor lesion, possibly intermediate lesion, and mature melanoma. The researchers sequenced nearly 300 cancer-related genes in each section of the samples to discover which genes changed at which stage of development. They found that intermediate lesions had some harmless mutations but also some genetic changes that could lead to cancerous cell growth. That told them those lesions did not just look in between—their DNA actually made their behavior intermediate between a mole and a melanoma. The team presented their work at the melanoma convention last week and <a href="http://“>published the full version of the project in the New England Journal of Medicine. Sorting out the genetic gray zone also gave them a clearer view of how a melanoma develops. “In our study, we observe the canonical order of mutations that allow a melanocyte [a skin cancer cell] to overcome these barriers as it progresses to melanoma,” Shain said. In the 1980s, some researchers described an intermediate lesion as a dysplastic nevus, while others argued that the term would lead to confusions in melanoma diagnosis and shouldn’t be used. Shain’s team avoided using the term dysplastic nevus. While the study’s authors didn’t use his terminology, Elder said they are basically describing the same thing. He said that at the presentation, “I asked the question, ‘Were these intermediate lesions dysplastic nevi or were they something else?’ And the response was, ‘Well, yes, they are.’” Elder agreed that using the term could distract from the study’s main message. Iwei Yeh of UC-San Francisco, a co-author of the study and one of the eight expert dermatologists, said that the new genetic data will allow the next stage of research to narrow the list of suspects for which mutations are most likely to lead to melanoma. Researchers could observe people with intermediate lesions and see which ones develop cancer. Then, they could use those genes as diagnostic signals for a mole on track to become malignant. Elder said this kind of study could reduce unnecessary procedures to remove harmless moles, saving time for both doctors and patients. Cancer is a disease that begins with gene alterations: At the high end of the mutation scale, a cancer such as melanoma has hundreds. That may be why melanoma drugs that block certain cancer-causing genes only work for a subset of patients, and even these are successful for just a short while. Better maps might help in navigating the complex routes that mutations chart in cancer cells. To this end, a giant consortium of scientists has been working on the Cancer Genome Atlas, a project overseen by the US National Institutes of Health, to plot the maps of a number of cancer genomes. 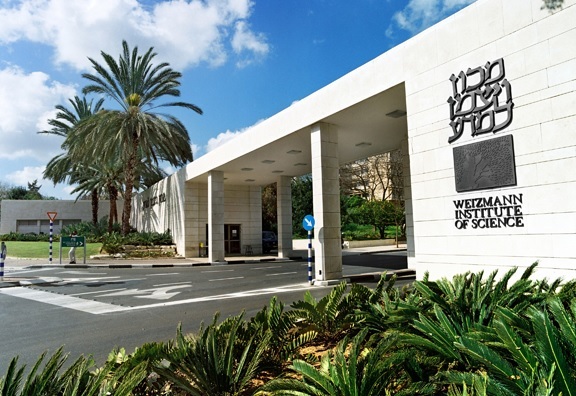 Prof. Yardena Samuels of the Weizmann Institute’s Molecular Cell Biology Department is a part of the Cancer Atlas group that recently produced the melanoma genome map. Hundreds of researchers from Australia, the US, Canada, Russia, Germany, Italy, Poland, China and Korea participated in the effort. “This has been the most in-depth mapping yet,” says Samuels. 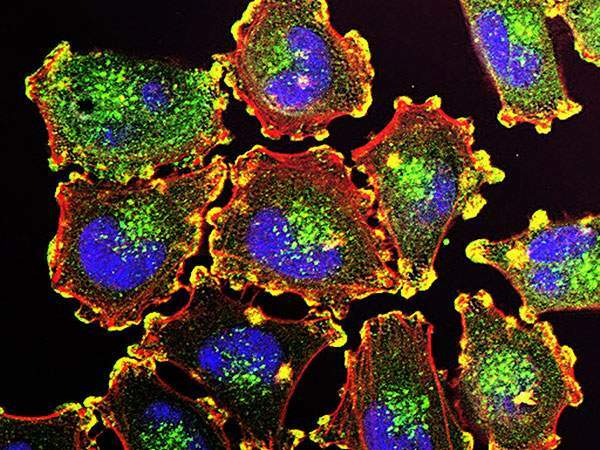 After a careful selection process, 333 melanoma samples were included in the study, and the screening was conducted using six different platform technologies, going beyond the bounds of simple gene sequencing to explore how the various genes are expressed, how they interact and which proteins they produce. Each sample required a second, non-cancerous sample from the same patient for comparison, and several of the samples afforded comparisons of genes from the patients’ early tumors to those that had metastasized. In addition to the sequencing of protein-coding genes, some of the samples had their entire genome sequenced, which could prove in the future to be an “unexplored goldmine of information on what makes cancer tick,” says Samuels. RNA and microRNA, as well as protein expression assays, were included. The latter screens added further dimensions to the gene map – creating a “landscape” that can help researchers understand not just the genes, but the pathways, intersections and cancer-causing diversions associated with them. “The study was intensive, and it has paid off,” says Samuels. For one thing, it showed, for the first time, that melanomas can be divided into four distinct groups, according to a main mutation. Now melanoma researchers will be able to focus on understanding exactly how the different mutations lead to cancer, and physicians may eventualy gain better tools for diagnosing the disease and tailoring treatments to individual cases. The first type, occurring in a mutation “hotspot,” is known as BRAF, and it tends to appear in younger people, in whom the cancer is fairly aggressive. The second is known as RAS. BRAF and RAS protein products lie in the same pathway so that BRAF and RAS mutations are mutually exclusive: A patient will have one or the other, but not both. The third is called NF1, and this mutation was found in older patients. The fourth group, called triple wild type, had none of the three most common mutations. In addition, the in-depth analysis held a surprise finding. RNA and protein expression tests revealed the infiltration of immune cells called lymphocytes into the tumors. These turned out to be highly correlated with the patient’s prognosis – the more lymphocytes, the better their chances of surviving, regardless of the genetic signature of their melanoma cells. This finding has interesting implications for the field of cancer immunotherapy, in which a patient’s immune cells are “trained” to fight the cancer. It suggests that even upping the numbers of particular immune cells could have a positive effect, and it could help identify those patients who might benefit from various new immunotherapies. Another area of research arising from the new cancer genome that could bear fruit in the near future is a sort of “matching” of existing drug compounds to the genetic profiles. For example, a comparison of genomes from different cancers shows that the genetic mutation pattern of one type of melanoma is similar to that of a form of a brain cancer called glioblastoma. That means that drugs already on the market for glioblastoma might have an effect on melanoma as well. In parallel, she is beginning to explore the pathways – the series of biological interactions that underlie each action in the cell – in two of the melanoma subgroups. “If the mutation in a gene, for example, a tumor suppressor, causes a loss of function, you can’t fix it by blocking the gene – the problem is that the gene is not working in the first place,” she says. “But if you follow the pathway, you are likely to find other genes that present targets for turning the pathway around, farther down the line. 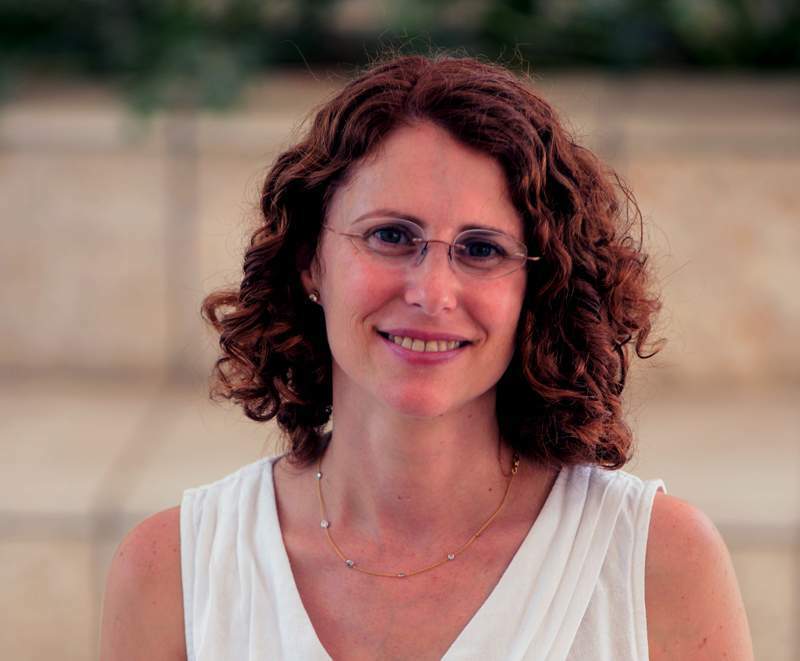 Prof. Yardena Samuels’ research is supported by the Ekard Institute for Diagnosis, which she heads; the Henry Chanoch Krenter Institute for Biomedical Imaging and Genomics; the Laboratory in the name of M.E.H. 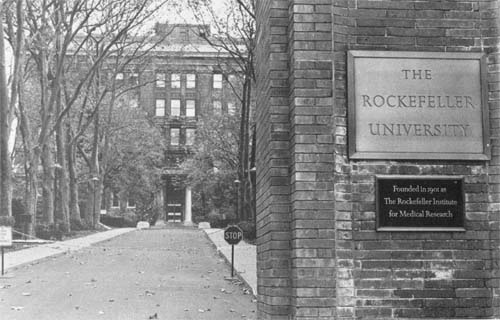 Fund established by Margot and Ernst Hamburger; the Louis and Fannie Tolz Collaborative Research Project; the Dukler Fund for Cancer Research; the European Research Council; the De Benedetti Foundation-Cherasco 1547; the Peter and Patricia Gruber Awards; the Comisaroff Family Trust; the Rising Tide Foundation; the estate of Alice Schwarz-Gardos; the estate of John Hunter; the Estate of Adrian Finer. Prof. Samuels is the incumbent of the Knell Family Professorial Chair.